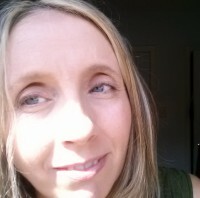 I’m Elizabeth, a Toronto-area acupuncturist and yoga teacher. I’ve been teaching yoga since 2003 and offer group and private yoga classes in the Toronto area. I have a particular interest in the theory and practice of Yin Yoga. You’re welcome to join me at one of the Yin classes I teach at Pure Fitness near Eglinton & Laird. I also sometimes teach at Redwood Hot Yoga in East York. The benefits I’ve received from acupuncture and other holistic modalities, as well as my interest in Yin Yoga, inspired me to begin studying traditional Chinese medicine and acupuncture in 2009. I’ve been registered with the College of Traditional Chinese Medicine Practitioners and Acupuncturists of Ontario (CTCMPAO) since 2015 and offer acupuncture treatments that integrate the principles and practices of yoga with those of traditional Chinese medicine.